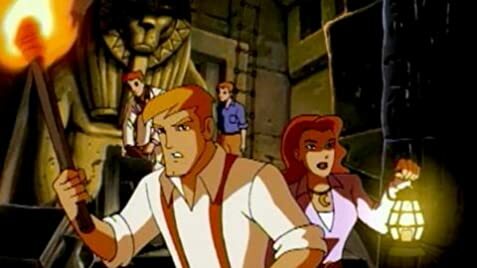 In present day US, a kid releases four ancient Egyptian mummy warriors who help him fight a revived Egyptian evil mummy sorcerer who wants to take over the world. Max, a 12 year old boy, finds a magical cap that can teleport him across dimensions. The Incredible Hulk teams up with Red Hulk, She-Hulk, Skaar, and Rick Jones aka A-Bomb to battle the forces of evil in front of cameras for Rick's web-based series to show the Hulk is more hero than monster. After accidentally raising a Mummy from the dead, eleven-year-old Alex O'Connell is every kid's hero, as he narrowly escapes one disaster after another. 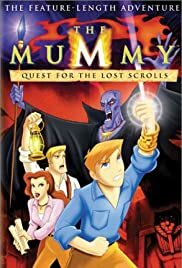 He and his family must race across the globe to locate the lost scrolls that will unlock the powers of a magical manacle and send the Mummy back to his tomb for good. This series is based on characters in "The Mummy", and "The Mummy Returns", but is not a direct sequel to either of them. Instead, it is an alternate timeline. Look at it that way, and you'll like the series much better. As near as I can tell,you take "The Mummy", and instead of Evy reading from "The Book of the Dead", she gives it to the museum and ends up falling in love with Rick O'Connell, and meets Ardeth Bey as well (my memory of exact events in the movie is a little fuzzy). Take those events, and when "The Mummy Returns" should take place, this series occurs instead. Which means this is the first time the O'Connells have encountered Imhotep. With that knowlege as a foundation, the series suddenly makes a whole lot of sense. The first season deals mostly with the O'Connells wandering the globe in search of the lost Scrolls of Thebes, which hold the spells that can seperate the Manacle of Osiris from its user, or enable them to control the world. In addition, they battle several demons and monsters on their quest to find the scrolls. In the final battle of the season, Alex frees himself of the Manacle, but puts it back on and destroys the Scrolls so that Imhotep cannot use them: a victory, and yet with a price. In return, though, Ardeth Bey offers Alex the chance to follow his heritage (unbeknownst to him at the time), and recieve Medjai training. Season 2, currently showing in the US, starts with Imhotep's return and his quest to control the world with the help of Anak-Su-Namun, who helped him in ancient times. However, the two split up due to certain arguements, and neither have been seen since in the two episodes that have aired since. In addition, we learn in the two-part season opener that Evy is the reincarnation of Princess Nefertiri, who briefly returns to posess her reborn self and stop Anak-Su-Namun, and in the fourth episode of the season, we learn that Rick's father Jake, whom he thought was dead, is alive... and was once a Medjai, meaning that Alex was meant to join their order. All in all: exciting series, interesting plot, and lots of action. Plus the monsters-of-the-week are pretty cool. I give it a high rating - just not sure how high.